Scott Fenton is the principal owner of Scott Fenton Consulting, LLC. He has over 25 years of experience in IT. Fenton has expertise in strategic planning and ensuring companies obtain the maximum return from their IT investment. He previously held executive level positions at Intel, Wind River Systems, Peregrine Systems, HP, Fujitsu and Tektronix. Fenton’s consulting practice offers services related to interim CIO, cloud strategies, IT assessment, sales and marketing optimization, and strategic planning. Fenton has received repeated recognition and awards for technology innovation from CIO Magazine, Oracle and InformationWeek. Fenton holds a master’s degree in information management from the University of Oregon. The opinions expressed in this blog are those of Scott Fenton and do not necessarily represent those of IDG Communications, Inc., its parent, subsidiary or affiliated companies. This article discusses serverless computing, what it is, how it works, and the benefits and drawbacks to your organization. 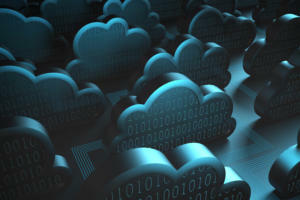 If you have been contemplating a move to the cloud, the time is now. All the traditional barriers have been removed.